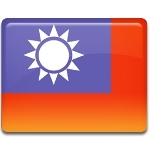 On March 29, the Republic of China (commonly referred to as Taiwan) celebrates Youth Day. This holiday commemorates the victims of the Second Guangzhou uprising, also known as the Yellow Flower Mound revolt. The Second Guangzhou uprising was an uprising against the Qing Dynasty that occurred in April 1911. It was led by Huang Xing, a revolutionary leader who later became the first army commander-in-chief of the Republic of China. Most of the rebels were young people with all kinds of social background. The rebels realized that they were outnumbered, but they went into battle anyway. Most of them were killed during the uprising, which turned into a disastrous defeat. Only 72 bodies were identified. They are referred to as the 72 martyrs. The dead were buried in a mass grave on the Yellow Flower Mound. The uprising occurred on the 29th day of the 3d month in the Chinese calendar, which fell on April 27 in 1911. However, the Youth Day which commemorates this uprising is celebrated on the 29th day of the 3d month in the Gregorian calendar, that is March 29. Originally Taiwan celebrated its Youth Day on the same date as the People's Republic of China, May 4, to commemorate the May Fourth Movement. But in 1954 the date was changed to March 29.